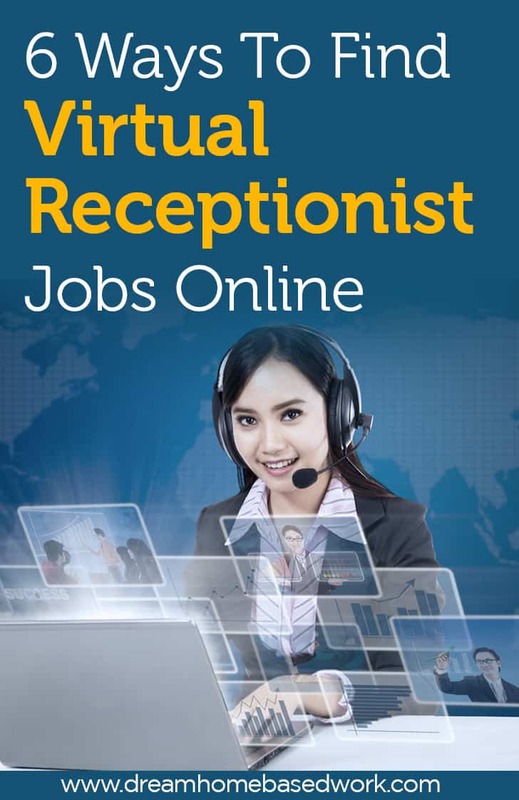 If you enjoy interacting with people online or through the phone and offering them information in a way that builds relationships between them and your company, then a virtual receptionist position is perfect for you. A Virtual Receptionists is hired by a company to ensure that their customers can be attended to, day or night. The job involves answering phone calls and giving feedback to customers when the business owner is unavailable. In some cases, virtual receptionists handle a wide variety of administrative work depending on the company. Great organization skills. The position often requires the receptionist to plan their own schedule as per your client’s needs. Exceptional customer support skills. The ability to handle customer queries in a professional manner and relay feedback to clients is important in this job. Fast writing and typing skills. Writing tasks are part and parcel of the job, with most employers looking for receptionists that can type at least 60 wpm, when transcribing or doing other tasks that involve text. Good computer skills. Your computer is your main working tool so it is important that you are able to operate it independently. Interpersonal skills. Working as a virtual receptionist requires that you interact with people of different backgrounds. You will need to manage relationships between your company and clients to succeed at the job. Good knowledge of the internet. Majority of the correspondence between you and your employer or their client is done online, which means that you should be technologically savvy and able to navigate the internet fairly well. Apart from having the above skills, you will be required to have a stable connection to the internet, working computer and appropriate headphones for Internet-based calls. Below is a list of companies that regularly offer virtual receptionists jobs for those working from home. Check them out. #1 – Gabbyville hires receptionists to work for clients virtually from their office in Knoxville, TN. The company offers its services to small and large businesses to help cut down their administrative costs. When hired by Gabbyville, you will be expected to answer calls “live” and route them to appropriate offices. Appointment scheduling and setting up reminders is also a regular task when working for the company. Unfortunately, there is no information on working hours or payment terms on their website. If would like to work for Gabbyville, you will need to send your resume to their e-mail address, [email protected] to be considered for a position in the company. #2 – Vicky Virtual is based in the United States and only hires residents to work as virtual receptionists. The company targets small businesses seeing to free up their time by outsourcing phone work and customer service. If hired, you will be responsible for handling multiple phone calls from callers that need their questions answered. You will also book appointments and perform the general duties that are often done by receptionists. The pay is $10 per hour worked. You are required to have a working computer, stable internet, cheerful demeanor and previous experience in customer service. #3- Guru is a freelance site that offers a variety of jobs for those seeking virtual assistant jobs among other work at home positions. Their jobs are placed in categories making it easy to find a job that matches your qualifications and applying for it. To increase your chances of getting hired, you will need to send in a number of applications and wait to get picked among the number of people that have bid for the same job. Alternatively, you can choose to advertise your need for a job on the site while indicating your preferred pay per hour and highlighting your competencies on the site. #4 – Freelancer.com offers home based jobs to receptionists interested in working remotely. The jobs vary from one company to another in terms of pay and the tasks assigned. On the site, you will find short and long term work from individuals as well as companies seeking virtual receptionists. Even so, the pay on Freelancer.com may be on the lower side when compared to other sites, making it an ideal for those looking for somewhere to start off their online career as virtual receptionists. #5 – Upwork is the best place to find administrative jobs and specifically virtual assistant positions online. The site is a platform that connects employers and freelancers by posting jobs that when done satisfactorily results in good pay. You will find a number of jobs advertised on the site asking for proposals to be sent in, before an approval is made by an interested employer. Payment on the site is through PayPal but other payment options are also allowed. Getting hired on Upwork as a virtual receptionist is possible as many people are currently doing similar jobs through the site. #6- FlexJobs offers virtual receptionist jobs on their site that have been screened to ensure that they are legitimate. The site categorizes the job positions which makes it easier to find those that are seeking receptionists to work remotely. Apart from offering a large number of jobs, you can also select those that match up with your schedule which can either be part-time, freelance, or flexible option. Even so, your job search can be greatly enhanced when you sign up for their listings which require payment monthly, quarterly or annually. 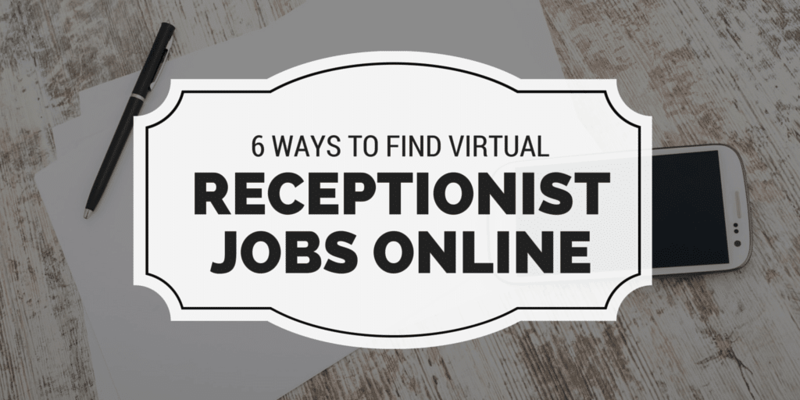 In general, getting a job as a virtual receptionist is a process that starts with signing up on the above sites. Majority of them do not require a fee for you to become part of their community. Even so, it is important to be patient as you send out applications and bid on other sites, because getting hired on some sites may take time. This also applies to the amount being paid for performing the agreed tasks as it usually improves over time as you learn on the job and gain experience.